We all love nicely baked biscuits. They can be eaten with tea, steaks, and other foods. You can easily make the biscuits at home or buy. If you buy or bake more, you will end up with more biscuits lying in the fridge or pantry. Throwing the biscuits away is not a good idea. You can reheat them easily instead of throwing away. 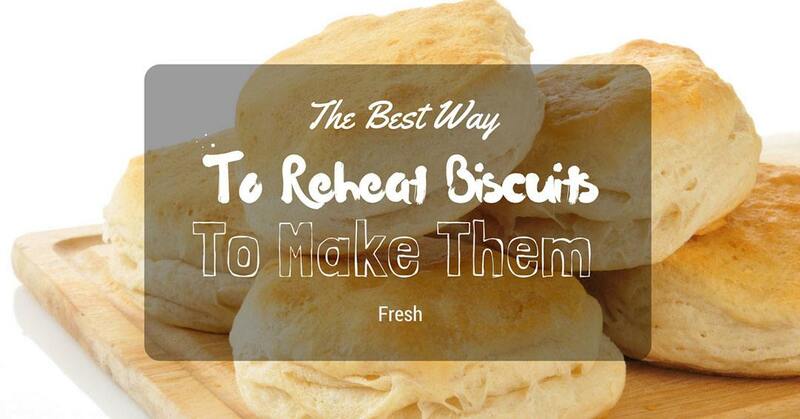 The following information will help us the best way to reheat biscuits easily and properly. There are various ways that can be used to reheat them before they are served. After cooking, the biscuits should be stored properly for reheating. There are various ways that you can use to store the homemade biscuits. They include: the freezer, pantry, or the fridge. The biscuits stored in the pantry will only for two days. The ones you store in the fridge will take up to 7 days. They will not dry if they are sealed properly. If they are stored in the freezer they can stay for up to 3 months. If the temperature is below at zero degrees, they can be kept for up to 12 months. Warm biscuits are tastier than the cold biscuits. They can be served for breakfast, dinner, or lunch. This method can be used to reheat different foods. It can be used to reheat tamales and reheating shrimp. It is an effective method that can be used to reheat the biscuits too. This method can be used to reheat the pantry biscuits, the refrigerated biscuits, and the frozen biscuits. Preheat the pan over low heat. For even heating, it should be placed in the middle of the grill or the ﻿﻿heating pad. If the biscuits are at room temperature, wrap them with an aluminum foil. This will prevent them from burning. Put the biscuits in the pan to warm for about a minute for each side. Take them from the heat and serve. 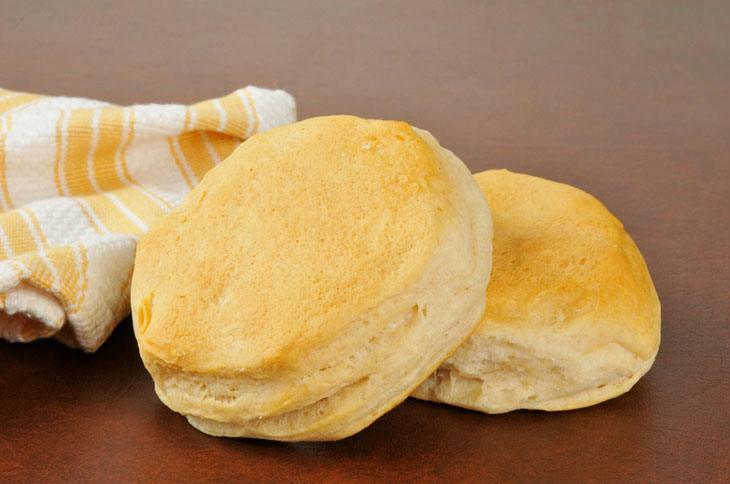 If you don’t have an oven or microwave, you can easily use your stove top to reheat the biscuits. There are different types of butter. There is salted, unsalted, sweet, and whipped butter. Use the one you prefer. If you want to toast them with preserves that are sweet, you can use jam. 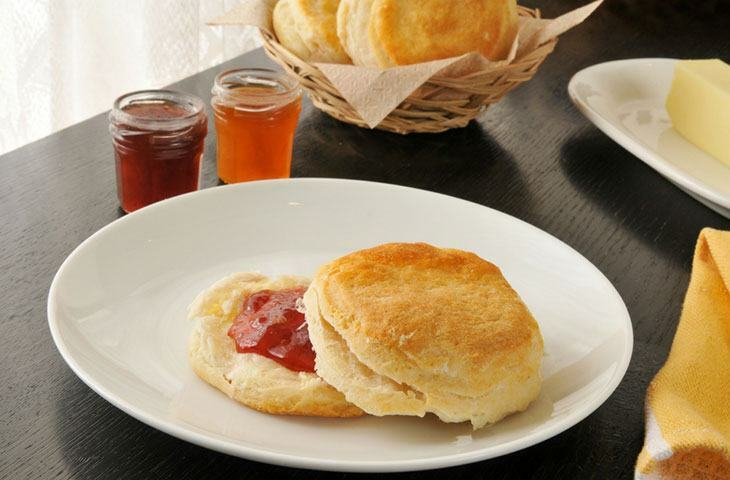 Spread the jam on the biscuits before they are toasted. You can use a ﻿cast iron skillet. It has the ability to retain more heat as compared to other materials. This will give you crusts that are nicely textured. When flipping the biscuits, use a nylon or wood spatula. A metal spatula will flake the seasoning of the pan. You can put the butter in the skillet to melt. Ensure that it doesn’t get burnt. Spread it through the skillet using the spatula. The whole skillet should be coated. When toasting the biscuits, both sides should be coated with oil. As soon as they turn golden brown, take them from the pan. Ensure that they are served hot. You can serve them with jam or bacon. Enjoy! Don’t wrap the biscuits if you want to toast them. If you want to keep the biscuits moist and infuse them with more flavor, brush them with your favorite oil. If the biscuits were stored in the fridge, glaze them with butter or oil to prevent them from burning. Do this before you wrap them in a foil. These will take about 1.5 minutes. If the biscuits are frozen, wrap them in their frozen state and place them in the preheated pan. Ensure that the biscuits are wrapped in a kitchen towel that is moist before you place them in the microwave. This will help them not to dry. Place the biscuits in a microwave-safe dish and cover the container. The lid should not be pressed. Reheat the biscuits for about 2 minutes. The heat should be at a medium setting. 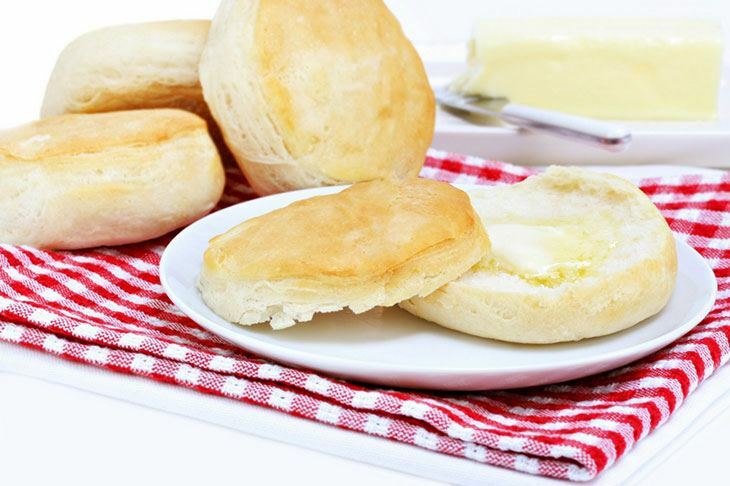 If the biscuits are from the fridge, use oil or butter to brush them before placing them in the dish. Cover them slightly without locking the dish completely. This will take about 3 minutes to get hot. If they are frozen, use a damp towel to wrap them before you place them in the dish. Ensure that it is not locked completely. They will take about 4 minutes using the highest setting. With this method, you can use a lunch box or use an aluminum foil. 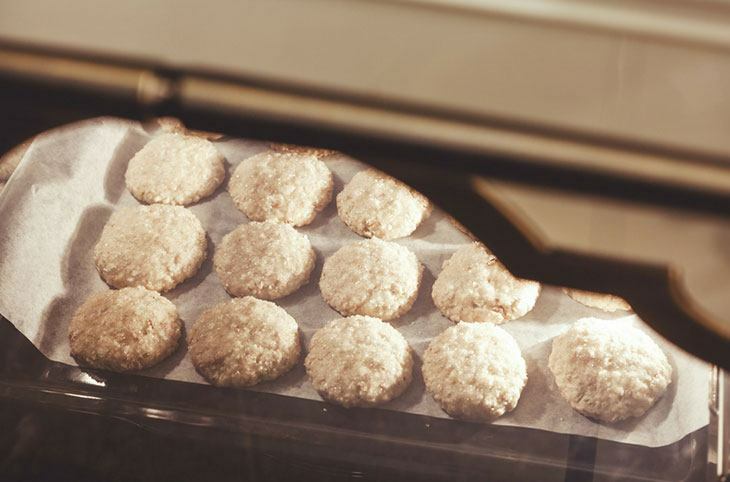 Line the baking sheet with a silicon or parchment paper. Arrange the biscuits on the tray evenly. If you want to keep them moist, brush them with your favorite oil. If the biscuits are at room temperature, heat them for 3 minutes, the chilled biscuits will take up to 8 minutes, and the frozen will take up to 15 minutes. When ready, serve them as desired. If you are using the lunch box option, you can buy the bags from the store. Ensure that the bag you purchase will be able to carry the number of biscuits that you will be reheating. Use few drops of water to sprinkle the biscuits. This will make them moist again. Ensure that they are not soaked wet. You can use a spray bottle or run the biscuits under the tap water quickly. Put the biscuits in the lunch bag and seal. Leave some space at the top. Place the bag in the preheated oven to reheat the biscuits. After 10 minutes, get them out. The biscuits will be spongy and chewy. You can make breakfast sandwiches, fill the biscuits with jam, or plain. You can serve them at any time during the day. Ensure that the oven is preheated before you reheat the biscuits. This ensures that they are cooked evenly. It can be preheated for 10 minutes up to 350 degrees F.
You can use a thermometer to check the temperature of the oven. This is because some oven models have no indicators to help you know the temperature. ​Ensure that you use a microwave-safe plate when reheating the biscuits using the microwave. ​When reheating in the oven, the towel should not be too wet. It is good to store the biscuits in the fridge. The temperature is low and consistent. This cannot be achieved in the cupboard. They should be kept in containers that are airtight. This will prevent them from absorbing other foods’ smell. Some may taste like the fridge. This is because they were not sealed when they were kept. ​The unbaked biscuits will only stay in the fridge for less than 48 hours. When arranging the biscuits to reheat in the microwave, ensure that they are not stack together. The plate should not be overloaded. 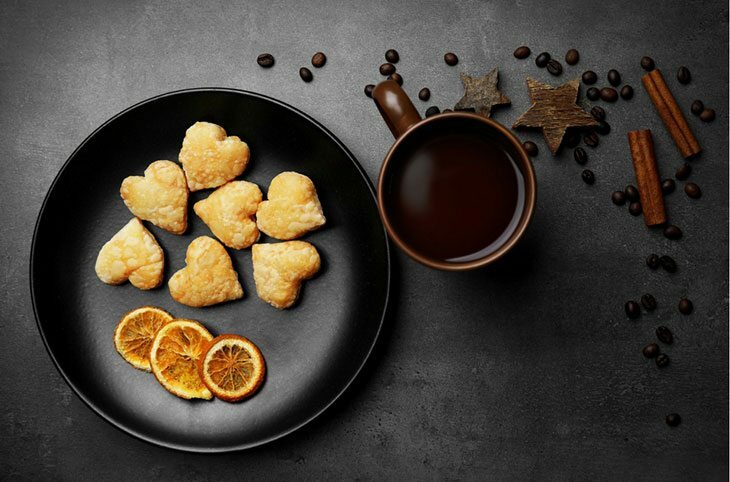 Which of the above methods can you use to reheat your biscuits? The above is list is important if you like buying or baking more biscuits. It will help you to restore the biscuits to their freshness. Don’t discard them, just use any of the above methods to restore their freshness. Did you enjoy reading the above information? If you enjoyed, please feel free to share with others and tell us what you think through a comment or question in the comments section.